We manufacture screens that are made to suit your exact requirements and are available in a variety of frame and mesh options. Our high-quality window screens are custom made from top quality components. Simply select a frame color, screen fabric and hardware. Whether you are replacing windows or installing windows into a new building, we are here to help you. Here is what you would need to know before placing your order online. Please note: We are not responsible for ANY incorrect measurements provided to us when you place an order online. All sales of prebuilt screens are final. Click here to read Terms and Conditions*. 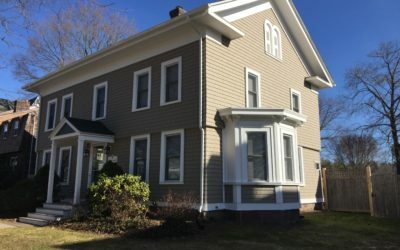 If you are having difficulties measuring and/or choosing right solution, our highly trained technicians can do it for you within the State of Connecticut. Additional charges may apply. Please give us a call to schedule an appointment at 860-856-9213. 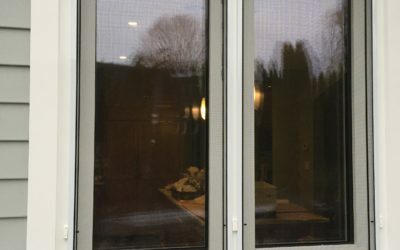 HOW TO MEASURE YOUR WINDOW SCREENS? In this comprehensive guide we will help you understand how to determine the actual screen size and hardware needs for your windows which are the most important aspects of ordering your screens. Not a secret that window screens comes in a variety of styles, colors, and sizes. They also can use a number of different hardware options, and come in several different types of screen mesh. The most common screen frame is 3/4” by 7/16”, but if You starting a new project we would recommend to use 1” x 7/16” (Simplicity®) which is our bestselling screen frame product. Providing us the correct combination of the above specs can be the most challenging part of the process. But we need it to ensure that you will get what you want. Please refer to some guidelines below that will help you. This will be the actual size of the screen needed for your window. It is not your window size. Your screen size will always be smaller than your window. When measuring a screen, always measure it from its “tip-to-tip” of both its WIDTH and then HEIGHT. The tip-to-tip measurement of a finished window screen is from the outside corner of one side to the outside corner of the other side (width), and then the outside corner of the top to the outside corner of the bottom (height). For informational purposes, we produce within the industry standard of +/- 1/16”. 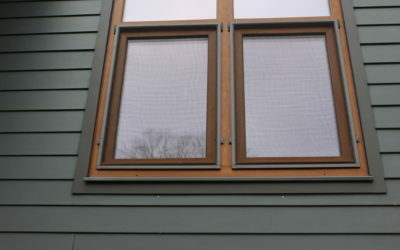 SINGLE HUNG (“half screen”): Only the one portion of the window opens (bottom or side). This type of window will create a few “opportunities” for you, as it tends to have more hardware options and sizing variations. When ordering this type of screen, please take note of the “Single Hung” section of the ordering page which will provide several drawings of hardware options that tend to be the most common. DOUBLE HUNG (“full screen”): Both portions of the window can be opened (top and bottom, or both sides). 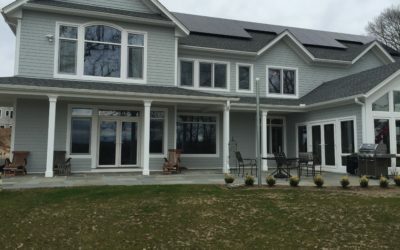 These types of windows have very few hardware options, and sizes tend to be more standard. 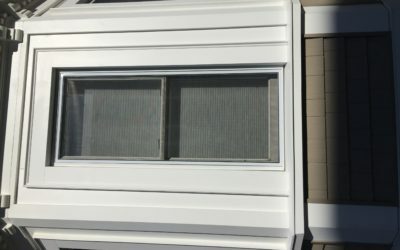 These type screens always come with a “Cross Bar” or “Stabilizing Bar” which is positioned around the middle of the window, hidden by the dividing portion of the window. This adds stability to your window screen. 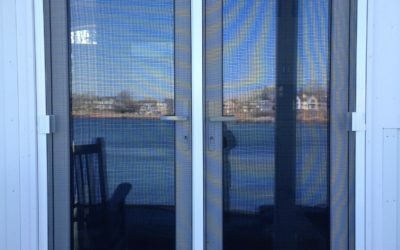 When ordering this type of screen, please take note of the “Double Hung” section of the ordering page for ease of ordering. Please refer to “Frame Choices” tab. We provide 5/16”and 7/16” Frame Choices. You will see below how to select proper frame, but as a preview, your window comes with a “U-channeled” area where your screen will sit. This “U-channel” is a certain width. Having the proper width frame ensures the screen will fit into the “U-channel” and not rattle. As further info, 7/16” is highly recommended for Double Hung Window Screens, as it is a heavier gauge metal and will handle the larger size better. While the 1/4” and 5/16” are almost always for Single Hung Screens. Window Screen Hardware is what “holds” your screen in place. This is where the manufacturers of the windows like to come out with their own versions of hardware to make their windows different. We do not offer all of the choices available. However, when you look at what window screen hardware really does, there are only a few options. Please refer to our “Window Screen Hardware Choices” for more details. We do not offer all hardware on the market. However, we do offer hardware that will provide the same functionality as any original hardware. Is the material used to keep the bugs out? Please refer to Screen Mesh options. Please take note that Screen Mesh is secured in the Screen Frame by inserting a poly-spline into a “spline groove.” Regular screens are not designed to withstand the force of children, or pets pushing against the “Screen Mesh.” With enough force, the Screen Mesh will tear, or the spline will be pushed out of the spine groove. In either case, the child, or pet, could fall through, or escape through the screen. However, we do also offer heavy duty pet screen that is designed to take an abuse. HOW TO PROPERLY MEASURE YOUR SCREEN? Let’s start with the most basic information first. Please refer to Frame Options. We provide 5/16”, 3/8” and 7/16” Frame Choices (for rolled form) and 5/16, 7/16 for extruded frames that usually is used for extra-large opening. You will see below how to select proper frame, but as a preview, your window comes with a “U-channeled” area where your screen will sit. This “U-channel” is a certain width. Having the proper width frame ensures the screen will fit into the “U-channel” and will not move in place. Most houses are built using only 3 to 5 different size windows, of the same make and model of window and window screen. Usually the kitchen, laundry room and bathrooms make up 1 or 2 different sizes. The final 2 to 3 sizes are made up of the bedrooms, living rooms, dens, and dining room. This is important because by knowing this, you will not need to measure for every window screen in your house. If you know which windows are the same sizes, you can measure one of each different size, instead of measuring every window. Or if you do not have the current window screen of the window you need, but have the same size window screen on another window in your house, you can remove that screen, and follow instructions above to ensure proper fit, frame size, hardware choices, etc.